Today is the Day! Today is Leap Day! Today is Pete Day! 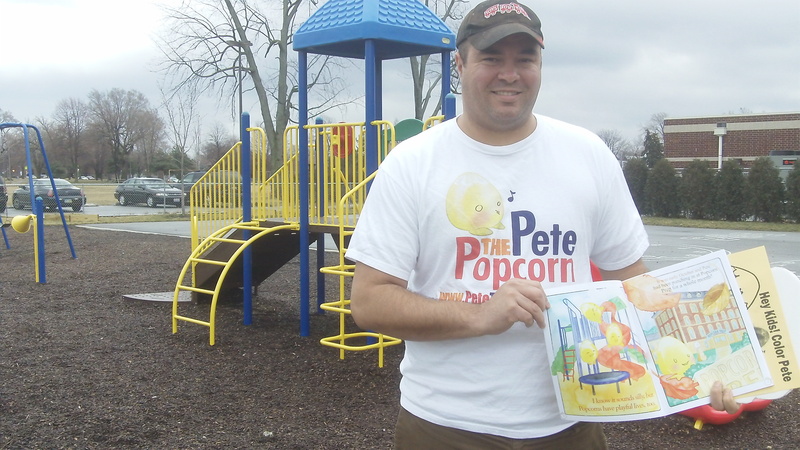 I hope you all go to Amazon.com and purchase your copy of Pete the Popcorn TODAY! Clicking the photo below will take you right to the purchase page. 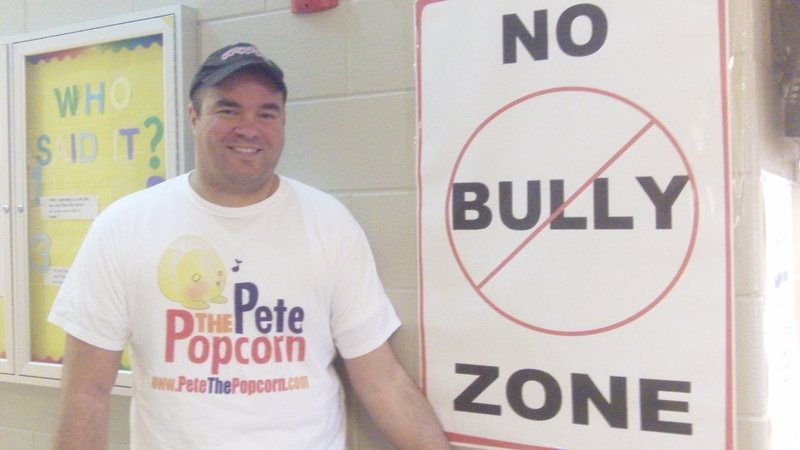 Pete the Popcorn is a Children’s Book that tackles the serious subject of bullying in our schools. Our message is that encouraging others is the way to end bullying. And what does PETE stand for? Pursuing Excellence Through Encouragement! If you all share this message today and talk about Pete through Facebook, Twitter and face-to-face with friends, family and co-workers, by tonight everyone in this country will be having a conversation about diversity, differences and encouragement! Thanks so much for your help in making this Bucket List dream of mine to come true— have a Children’s Book with a message top Amazon.com rankings!!! Have a great Pete Day!!! This week has been busy! We have read Pete the Popcorn to more than 700 students so far this week. But the exciting part is that we’ve been doing so much more than a simple reading. -We all grow up to be different. -You can be anything you’d like to be when you “pop” up. -We need to be kind and encouraging to one another. The last one is the one closest to my heart. I firmly believe that if we start teaching children at a young age about supporting and encouraging their classmates, the problem of bullying in our schools will come to a slow and silent end. 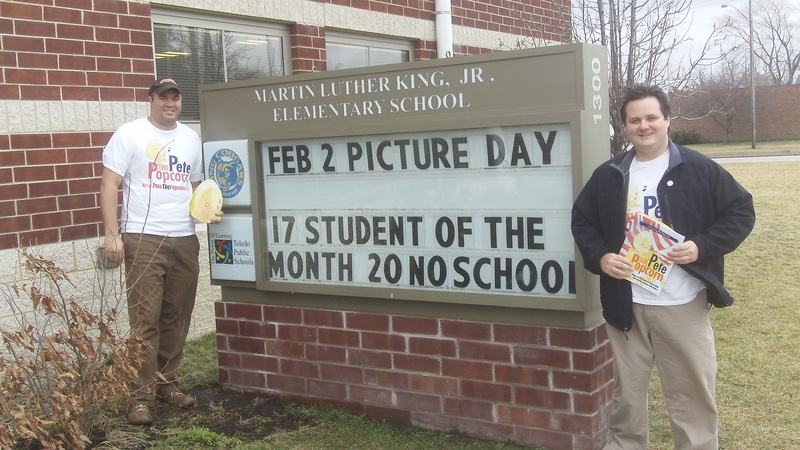 Joe at MLK, Jr. Academy in Toledo… No Bully Zone! To really demonstrate the importance and simplicity of offering encouraging words to others, we do a little activity with the students after the reading. We ask for a volunteer, who comes to the front of the class. The child then chooses one of their classmates to say something nice about. We’ve heard so many wonderful compliments– Suzie is funny. Ryan is smart. Danny is helpful. 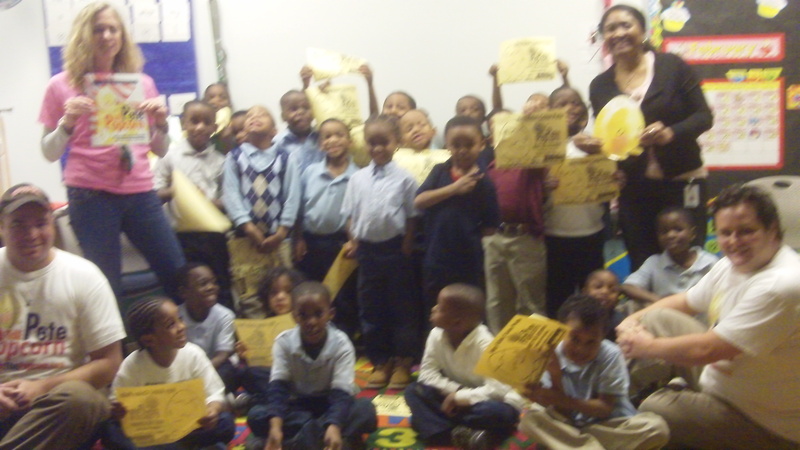 We go through several kids and also involve the teachers. I also mention that each and every one of us needs to work on this– I myself do not say enough nice things to other people. There probably isn’t a limit on how many nice things you should say or do in any given day– it could help someone in ways that you don’t even know. 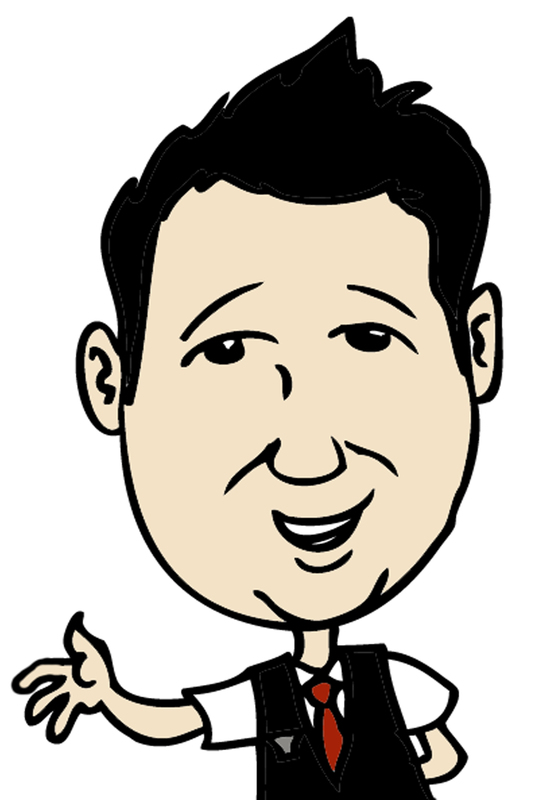 My Amazing Cartoon by Jess Lohr! Last spring and summer, I started to get to know a neighbor across the street from the house I had moved into during the winter. His name was Jess and he was married to Melissa. Melissa and Jess were always there with a smile and a wave when I was leaving for work or taking out the trash. And then we started to talk about projects that we all had, hobbies, etc. It turns out that Jess was into drawing— really, really into drawing and artwork! He was fantastic at it. Jess showed me a lot of his work and we discussed different things we would each like to try in future business endeavors, etc. I even considered asking Jess about becoming the illustrator for Pete the Popcorn! I asked Jess one day if he could do a cartoon caricature of me in my flight attendant uniform. I wanted to use this for a special, surprise project that I was working on to use during my flights at work. Within 24 hours, he sent me the image above. I thought it was fantastic. Less than two weeks later, I got a knock at the door. Unbeknownst to me, Jess suffered from depression. And earlier in the day, he lost his battle with this very serious illness. Jess never knew the joy that his little cartoon drawing of me brought to all of my passengers at work. He never knew the smile that it brought to my own face each time I looked at it, as well. Looking back, I wish I would have asked for that cartoon just a few weeks earlier. That way, he could have received some of the feedback and encouraging words that I and others had offered. I’m not saying that encouraging words would have jolted Jess out of this serious illness. But my point is that we never know what others are going through. And we never know when a simple compliment or smile or gesture will go so very far in someone’s existence. I believe that bullying in our schools can lead to depression, among children as well as adults. And I sincerely hope that Pete the Popcorn and our speaking engagements at schools across the country can begin to break the pattern of bullying. I’ve done my job if one student’s encouragement to another prevents that child from harming himself or others. We are attempting to tackle a very serious subject with a lighthearted story. But that’s how children learn. And I truly believe Pete the Popcorn can help. Reading to Classrooms is Awesome! I hope you’re looking forward to a great weekend, like we are. 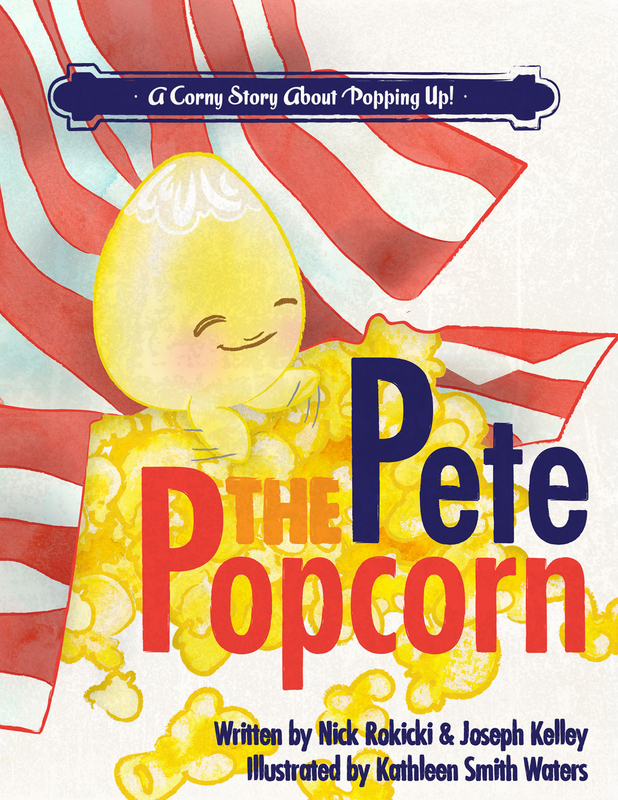 This is the last weekend before the big book release for Pete the Popcorn on LEAP DAY next Wednesday, February 29th. So that means this is the last weekend to tell all of your family and friends about this great new book for Children. Today, we received exciting news about another book signing event. We will be appearing at Just Pop In’s kiosk location at the Indianapolis International Airport. This location is BEFORE security–so the public is welcome! We’ve heard great things about Just Pop In and their popcorn and can’t wait for this event on Sunday, March 4th. 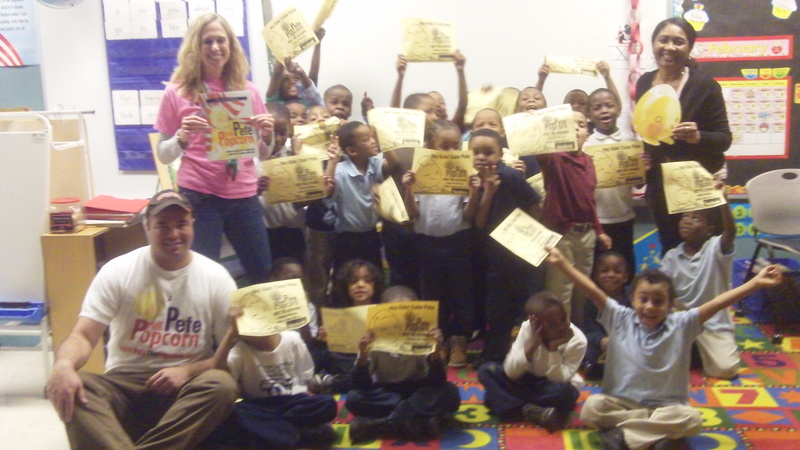 Perhaps more importantly, March 2nd is National Read Across America Day… and we will be reading to a bunch of classrooms in Indianapolis that day! This, coupled with the classes we have scheduled in the Detroit and Toledo area next week, make us feel like we’re really helping advocate child literacy. Please don’t forget to send everyone to Pete’s Facebook page and LIKE it. And don’t forget to buy the book on Amazon on LEAP DAY! Nice job, Kathleen! This playground looks just like the one in the book! Joe and the teachers and students after the reading. The authors are just as excited as the kids! 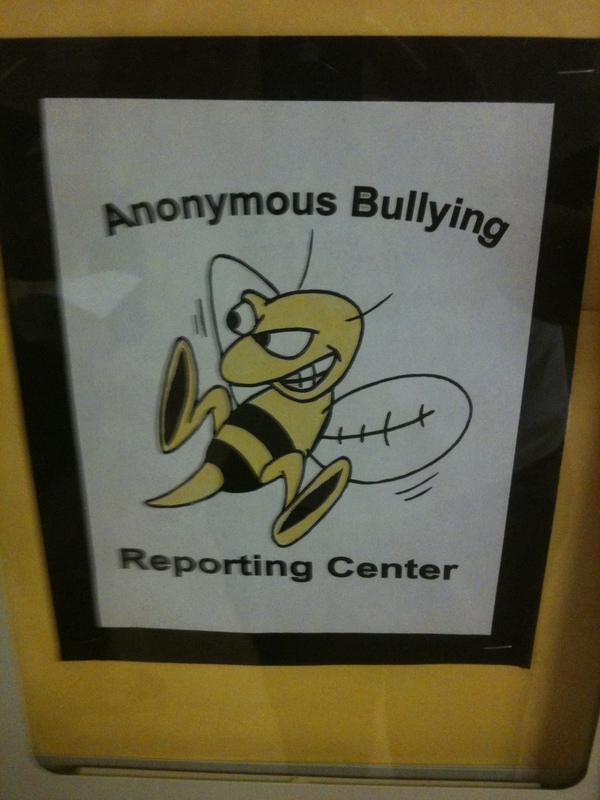 We liked this sign— you need to encourage others– not bully them! If you did not get a chance to do so yesterday, please go read Nick’s essay on bullying in our schools. Have a great weekend– and don’t forget to talk about Pete. Send people to Facebook… maybe we can crack 500 “likes” and give away more prizes?